Picture above: Joe Engel, Holocaust Survivor, speaking at a local school last year. 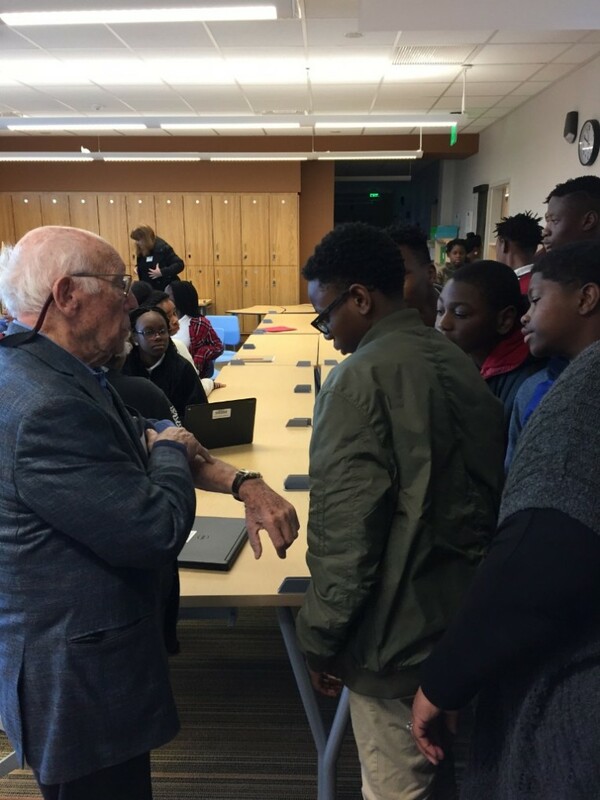 If your school, community organization or religious organization wants to learn about the Holocaust from a local resident who lived through it the Charleston Holocaust Speakers Bureau has many different types of speakers to fit the needs of your educational program. In addition to survivors, there are also descendants of Holocaust Survivors who offer personal accounts of the continuing impact of the Holocaust and recount the stories of Survivors that are no longer with us. Teacher Training: The REMEMBER Program is able to provide trainers and resources for educators to bring Holocaust programming to their classrooms. If your group or organization is interested in having a speaker, please complete the Speaker Request form below. Please note that our remaining survivor speakers are elderly and may need assistance when they arrive on your site. In most instances, survivors require transportation to speaking venues. Please email the speaker to determine their needs. Children of survivors (2Gs) do not require transportation. The U.S. Holocaust Memorial Museum makes the following suggestions for hosting Holocaust speakers. The following is an abstract but you can read the entire document here. Introduce the history of the Holocaust to program attendees in advance to provide context for the speaker’s personal narrative. Please remember that every speaker's experience is unique. Take each person’s history into consideration when providing a broader historical context. Remember that the speaker is sharing private and often traumatic memories in a public setting. Your sensitivity to this is critical to planning a successful program. Be aware of the speaker's comfort: provide water, comfortable seating, appropriate lighting, and microphones. Ask the speaker whether an LCD projector or other equipment is necessary. Ask the audience to turn off all cell phones and pagers before the presentation begins. Ask the speaker’s permission in advance before videotaping his or her presentation. Some individuals prefer not to be filmed or photographed. Have the audience refrain from eating or drinking during the presentation. Explain why your organization or school has invited the speaker. Many speakers prepare introductions that they will share with you. Talk with the survivor ahead of time to see how he or she would like to be introduced. Keep it short—no more than three minutes. Do not tell the speaker’s history for him/her. Keep in mind that many speakers are elderly and may speak softly, so make sure a microphone or sound system is available. If a newspaper reporter or photographer will be present, be sure to ask the speaker's permission before taking pictures. Most speakers do not mind this, but a few do, so please ask. If the survivor has visual material relating to his or her story, it may be incorporated into the introduction or used in the presentation. Please determine the speaker’s preference. Announce the length of the program and encourage audience members to stay for its entirety—both to demonstrate respect for the speaker and to minimize disruptions. Encourage your audience to come prepared to ask questions. Always allow for ample time for audience questions; most speakers enjoy engaging with the audience, and the audience is often curious to learn more. Appoint a moderator for the question-and-answer session to prevent or curtail inappropriate discussion of political or other topics that may make the speaker uncomfortable. 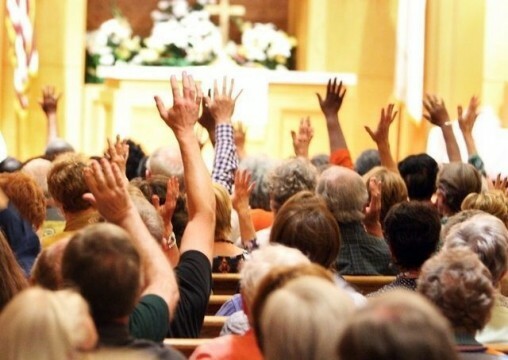 After a member of the audience asks a question, the moderator should repeat the question to ensure that both the speaker and the audience have heard it correctly. Consider asking students to prepare questions ahead of time and share them with you a few days prior to the program. Thank the presenter for coming by sending a formal letter of appreciation. Speakers also appreciate receiving notes from members of the audience. Do not give out the speaker's address to the audience. You may want to present the speaker with a small gift or a donation to the REMEMBER Program for Holocaust Education and Genocide Awareness to commemorate the experience. 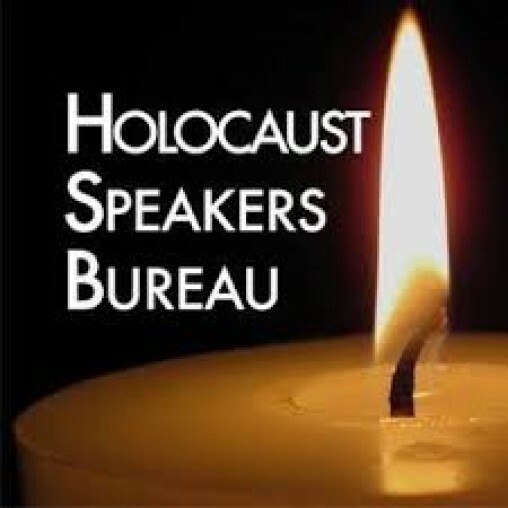 Our Holocaust Speakers Bureau seeks children and grandchildren of Holocaust survivors and concentration camp liberators (known as 2Gs and 3Gs) who would be willing to visit schools and organizations. Our aging speakers are finding it increasingly more difficult to travel and speak. We hope to expand our speaking network to include 2Gs and 3Gs. Please contact Rebecca Engel at 843-614-6484 or rebeccal@jewishcharleston.org if you are interested or would like more information.